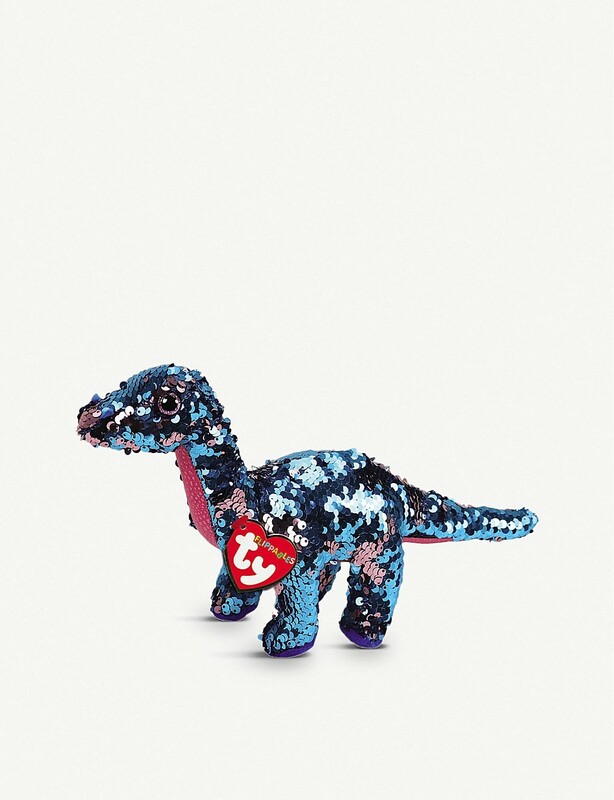 Part of the Limited Edition Ty Flippables collection, Tremor is a dazzling dinosaur with a sparkly sequin coat. Brush the shiny turquoise sequins to flip their colour to pink, then brush them the other way to turn them back again. 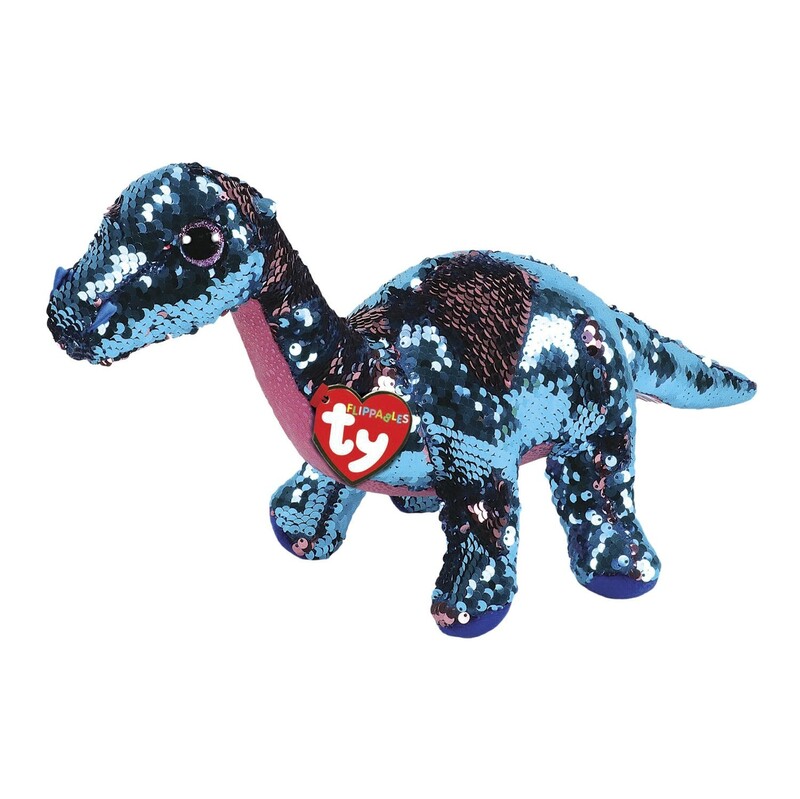 Tremor is lovely and tactile for little ones to play with and would make an adorable addition to any Ty collection.